Hair spray nozzles can easily get clogged. Then they will either splatter in stead f mist or not spray at all. This is a guide about unclogging a hair spray nozzle. 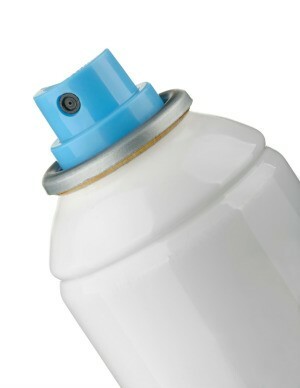 Dab a tiny drop of petroleum jelly over the pinhole opening of a hairspray pump. It prevents residue from gumming up and rendering it useless. This also works for spray starch. Hairspray cans always clogged? What a waste. Such an easy solution! After you spray your hair, run the nozzle of your spray under water for about one, (1) second! Then swipe it across a dry towel, and it will never clog again. So easy, so fast, you are out the door. If you have the a pump spray that has been clogged for awhile, stand upside down in a container of alcohol or hot soapy water for awhile. After you un-clog it, do the same as with the spray can after every use. It won't clog again.